Can martial arts help kids focus? What characteristics define the ideal martial artist? Films like “Ip Man” and “Fearless” depict legendary masters as practitioners who show focus, calm, kind and disciplined skillsets. Every martial artist may have their own view of what a true master is. But it’s hard to argue against true traits. In fact, to rise in rank, students have to motivate themselves, push past their comfort zones and internalize skills. 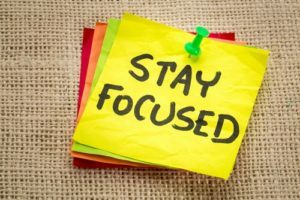 It’s for this reason martial arts have a reputation for instilling focus. If your child lacks focus in school, can martial arts help? Possibly. Whether your child wants to learn a modern or traditional martial art, they will be exposed to a structured environment. Most instructors lay out codes of conduct for their classes. They include practices like bowing, reciting mottos and staying on task. Getting distracted is much more difficult if an instructor requires students to pay attention and calls out those who aren’t following the rules. Additionally, martial-arts moves can be complicated, as they combine both upper- and lower-body movement. Your child will have to focus to be able to not only perform new actions, but also commit them to muscle memory. Finally, martial arts can be fun! If your child enjoys the training – and the sense of accomplishment and self-confidence that come with it – he or she will be motivated to remain focused during class. Practice makes perfect, and the more your child exercises concentration in the studio, the easier it will be for him or her to do so in school. The structure of martial arts seems to support developing focus, but what does research say? According to a study published in the Journal of Pedagogical Development, the benefits of martial arts reach beyond self-defense and encompass the building of self-regulation. This basically means martial arts teach kids a variety of skills that help them avoid reacting impulsively.